Mikal has decided to organise a regular frigate tournament and the first of them started last night. I won with a rail Tristan fit. The tournament limits drones to Tech 1 only but even with T1 Drones the Tristan is still a very strong ship. I designed my fit to be a little deceptive. While it applies from range reasonably effectively peak damage is from quite close (probably 9km using Antimatter is my best distance after taking tracking issues into account). I played the Tristan by using a simple beginning of Keep at Range 30km and peppering them with Spike (30 dps). From there I'd assess whether they were comfortable with long range in which case I would move in, web them and switch to antimatter or Javelin high damage ammo or if they couldn't hit me at that range just sit there plinking away. Here's the bracket. http://challonge.com/bravefrigtournament Note that there's a mistake. After my match with Kal Nour his name was put forward but in fact he wasn't able to stay around for our game so I got a win in my second match by default and the name Kal Nour should read Callduron for round 3 onwards. And that was the end of the winner's bracket, I was the last remaining person with no losses yet. And so I watched a brutally competitive losers' bracket play out to decide who I would play in the final. I had the security blanket of knowing that if I played the final and lost it would go to a rematch between the same two finalists because of the double elimination rule - I couldn't be eliminated by a single loss, not even in the final. The losers' bracket was superb with great skill being shown and a really diverse meta. Breachers, Executioners, Merlins, all kinds of ships in addition to the popular Tristans. The outstanding player was maydNNN who flew a very fast light missile Breacher. He faced quite a few opponents with drones and was simply too quick and skilful to even get touched by the lumbering T1 light drones. He won several matches by taking no damage and scoring some light damage on his opponent and getting the referee decision. He attracted some enthusiastic German support and went on to represent a strong German contingent of participants in the final against me. Germany may be the land of crystal spun castles but sadly the final was no fairy story. I chased in to my opponent doing some light damage with spike as I approached and setting drones on him. Crucially I got a web on him which stopped him from doing his trademark kiting. However he scrammed me and was able to pull away using his mwd and got out of web range. I was a little slow reacting and he got to a good distance for him with the potential to apply very well from distance. Then he boundary violated ending what was turning into a close fought match, with possibly his advantage. We were both pretty tired it being 2.30 am my time and 3.30 am his time. He had also had a long intense journey through the losers' bracket which I had been spared. So really I think I won by attrition. Veteran tournament player that I am a win's a win and I'll happily take it. I won a Dramiel, free entry to the next tourney. In addition a prize had been donated of a fit up Cerberus but the player who got it decided to give it to the tourney winner so I got that as well. Thanks to everyone who took part and to Mikal for organising it. I hope a lot more people decide to give it a go next time, it's definitely worth 5 million isk to enter, amazing fun. I've been bitten by the tournament bug as have a lot of the players who tried tournament play for the first time in AT XIII. I'd love to play more as would members of my squad but the next tournament is a year off so instead we have nothing to do. Most AT squads simply disband at this stage. For tournaments, for e-sport, to become a more significant part of Eve two things need to happen. Tournament play needs to be year round and it needs to be trivially accessible even to quite casual players. Here's my proposal: the Eve Mini-Leagues. Any alliance can enter one team and no more. Most AT rules apply such as the rules on collusion. When teams enter they are initially assigned a league based on order of entry. League size is up for discussion but we'll say 8 to start with. It probably should be a multiple of 4 so that a league can easily be used as the basis for knockout tournaments, notably the AT itself. League duration is a calendar month. So month 1 and we get 21 alliances sign up. That's enough for 2 leagues of 8 with a waiting list of 5 teams. Each team has 7 possible matches to play over a month period - they don't have to play all of them but only get points from results. Say League 1 sees its weakest team only play 3 matches, losing 2 and winning 1. That team gets relegated to League 2 and the weakest team from League 2 gets relegated to the bottom of the waiting list with whoever's been on the waiting list longest taking their place. If 7 matches a month seems too much we could do leagues of 4 which would also have the beneficial effect of reducing the waiting list. The problem with this is that it might make the top league just PL, Warlords Camel and whoever is about to get relegated. A match is considered "played" if it conforms to tournament rules (based on latest AT rules), is not interrupted by a third party and a youtube link of the action is provided. I'm thinking that matches should be streamed or at least frapped because we want this to attract a viewer base and build a viewer base for the AT. 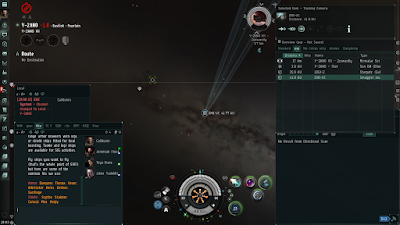 The unscannable zones added to sisi for the benefit of AT teams should be perfectly adequate to allow teams to play matches when hostile third parties are trying to screw them up. - year round tournament gameplay which adds to the sandbox, the options to choose from for players. - newbie and casual friendly as these are low stakes tournaments which can be infinitely extended to accomodate every alliance that wants in. - a wonderful opportunity for streamers and people who make Eve content. - the chance for Eve presenters and commentators to improve. The presentation of AT XIII was good but there's no question that it could be better and I think it would be if there were constant iteration and feedback throughout the year. - an opportunity for Eve organisations like Eve Bet to gain publicity and traffic by sponsoring prizes. - the building of an enthusiastic dedicated interesting following for Eve Sports. I'm thinking this could be hooked in with current out of tournament gameplay like the player tournaments arranged at Eve events. Maybe at Eve Vegas PL might arrange to play a league match v Camel and that would be part of the event, with some of the team members playing in person at the event, hooking up with colleagues who can't attend. It might also fit with Eve-NT if the rules allowed for smaller sides format to be a legal way to play matches. (Or maybe the leagues could be 5-a-side, it's not a dealbreaker). Is this a huge undertaking? Not at all. People already scrim on sisi or run in-house tournaments, it's really just a formalisation of stuff players already do. The big change is that there's a competitive element to it and that matches will be streamed, broadcast and commentated on. (As a matter of fact we recorded our practice scrims when Brave prepared for AT XIII and those videos are very entertaining to watch). 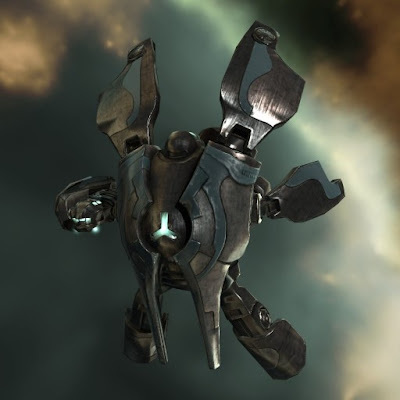 We don't need much from CCP although we'd like this to become a supported element of the game, just as gas mining or high sec ganking is. Success would be driven by how many people get involved but in my opinion there's a huge hunger for the tournament playstyle, that hunger is highest - pardoxically - at the end of the AT when no one really does any tournament stuff. E Sports are a hobby and like any hobby they are part of people's lives. You can't really have Eve Sport as a hobby when it's only on 3 weeks a year. If you could watch tournament play all year round then people would get into it and stay into it as their appreciation and understanding of small nuances of piloting skill grows. People like watching gaming streams so they can improve. With good commentary streamed or youtube league matches would show off the skills of some of the best players in the game, all pushing each other to excel by competing. It adds stickiness to Eve Online as a whole as alliances and pilots work out grudges on the grid and trigger new vendettas. People like the soccer world cup because they can relate to it. At one time Pele was a scruffy kid kicking a can around the street. Set up tournaments so that anyone can try it and the people that tried it are more receptive and enthusiastic about the main event because they can picture themselves in the finals making the critical plays. The AT will be a much bigger deal if we become a tournament-playing community instead of leaving it as a once-a-year perk for a handful of elite players. People will be drawn into Eve because of the Eve Sports buzz. New players can be steered towards socialisation, risk and fun by the addition of a new Opportunity - join an alliance and play a league match for them. Constant iteration on the tournament "little things" that would over time create a much better project. An Eve sport element to the game that is integrated into regular production instead of being something that staff have to come in on their weekends to make work. Because work would happen throughout the year there would be a lot less "crunch" during the three weeks of the actual AT for CCP staff. Potentially the leagues could provide a qualification system for the AT that generates a better and more conpetitive strucure than simply drawing competitors out of a hat. 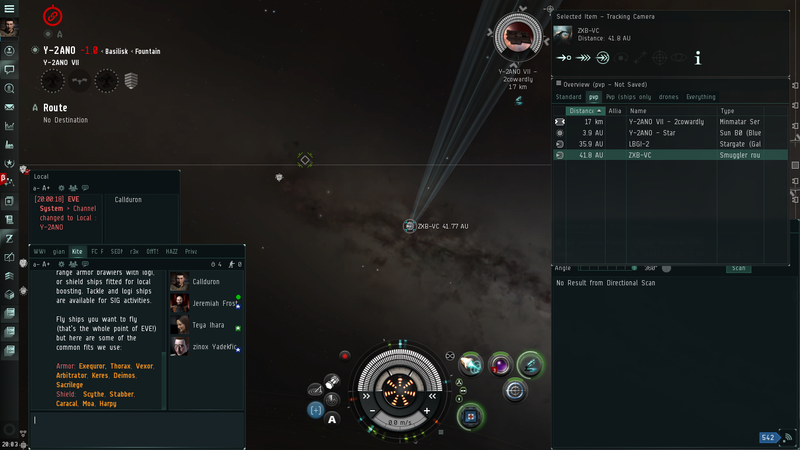 (I think it really hurt Eve Sports that alliances like Goons - the largest alliance in the game - had no stake in this year's AT because they got unlucky in the random draw). From Capri's address to Black Legion we learn that one of the most divisive moments was when Elo formed a CTA fleet to retake Y-2ANO. We learn from the Soundcloud (Capri's @ 10.50) that this CTA ended disastrously and caused deep and divisive drama after Elo arranged it then failed to show up to his own op. Apparently this mayhem was the result of the actions of a single mischievious interceptor pilot. I think that's the first alliance I've killed, pity it doesn't show up on my killboard.